Director Cristian Nemescu was a rising star of what has been branded the Romanian New Wave when he and his sound editor were killed in a car wreck near the end of post-production of his first feature. As a tribute to Nemescu, the producer released California Dreamin’ as is. 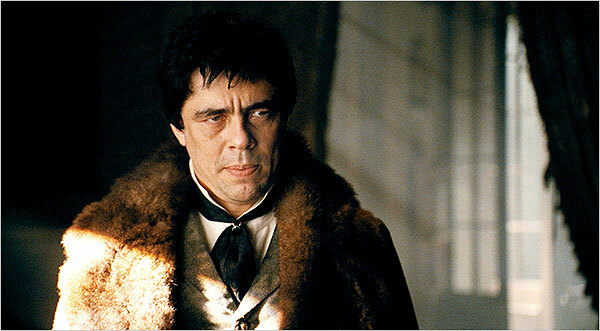 The director would likely have tightened the film up some but his dryly hilarious presentation of skewed cultural identity and appropriation, his blithely scathing portrait of bureaucratic impotence and ingrained corruption in post-CeauÅŸescu Romania (circa 1999), and the way he appreciates his characters even as he mercilessly satirizes their schemes and scams fills the film with a generosity of spirit and a richness of detail. Even at a leisurely two-and-a-half hours, there is plenty happening on screen. Americans confront the new Romania in "California Dreamin'"
“Everyone has their reasons,” was the motto of Renoir’s Rules of the Game. In Nemescu’s miserable little Romanian village, everyone has their agenda. NATO peacekeeping mission commander Captain Jones (Armand Assante in a gruff growl) wants to get his shipment of military equipment to Kosovo. Station manager Doiaru (Razvan Vasilescu), who runs his railroad position like a gangster and pillages every shipment that rolls through, blows off the government orders and sidelines them in a petty show of power and insolence (his reasons are slowly revealed in the flashbacks to World War II). His teenage daughter just wants to get out of the village and sees the arrival of the Americans as, if not her ticket out, at least a diversion for a while. The factory workers just want to stage their strike for maximum effect and find themselves stymied by Doiaru and overshadowed by the Americans. And the Mayor sees the captive audience as an unprecedented opportunity to promote his town and its absurd effort to transform into a high-concept tourist destination (complete with a copy of the Eiffel Tower and a Texas-themed hotel). Update: The complete schedule now online at SIFF website here. The 36th Seattle International Film Festival, still the largest (and, at 25 days, the longest) film festival in the United States, opens on Thursday, May 20 with Shari Springer Berman and Robert Pulcini’s The Extra Man, the Sundance premiere starring Paul Dano and Kevin Kline, and ends (at least symbolically; there are a few more straggler screenings, but I digress) on Sunday, June 13 with Get Low, starring Robert Duvall, Bill Murray and Sissy Spacek. In between, 256 features (narrative and documentary) and 150 shorts are scheduled to play (the term “unspool” no longer seems appropriate in a cinema culture where so many presentations are digital projection) in venues all over the Seattle area. In addition to the familiar Seattle venues—the Egyptian on Capital Hill, the Uptown in Queen Anne, the Neptune in the University District, SIFF Cinema at Seattle Center and Pacific Place downtown—there’s the opening night at Benaroya Hall, week-long stints in West Seattle (at the Admiral Theatre), Everett (the Everett Performing Arts Center) and Kirkland (Kirkland Performing Arts Center), and special events at the Paramount, the Triple Door and the Pacific Science Center IMAX. Jean-Luc Godard’s fourth film marked a significant new direction for young turk director, away from the impassioned sketchiness of his furiously directed first films and into the realm of carefully composed scenes and formal visual strategies. Developed to showcase his wife and muse Anna Karina (they were on the verge of breaking up), the film follows the journey of shop girl Nana (both a reference to the Zola novel and an anagram for Anna) from frustrated aspiring actress surviving on the generosity of her dates to professional prostitute. Karina isn’t given a glamorous treatment here, not like in the playful musical A Woman is a Woman, but the camera adores her in her simple shop girl clothes and Louise Brooks “Lulu” bob and Godard directs her to the performance of her career, giving a humanity to this shallow girl. Itâ€™s not just the famous close-up of Karina, with tears streaming down her cheeks, intercut with Falconetti in Dreyer’s Joan of Arc, but her distinctive body language, her distracted behavior around her “dates” and furtive response to a police interview. Godard makes it a mix of character study, social commentary and street tragedy broken into twelve distinct tableaux (the full French title is Vivre sa vie: Film en douze tableaux), many of them composed of carefully arranged long takes by Raoul Coutard. On the one hand it’s a provocative portrait of social and sexual politics (at one point the soundtrack reverts to a recitation of laws on the business of prostitution) directed with Godard’s distinctive gift for counterpoint and dramatic disassociation, on the other a moralistic tale of a shallow, emotionally reckless young woman ultimately punished for her ambitions and infidelities. The world knows Lloyd Kaufman (or rather, the part of the world that has heard of Lloyd Kaufman knows him) as the face of Troma Films and the director of the notoriously outrageous zero-budget cult-classic The Toxic Avenger and sequels. 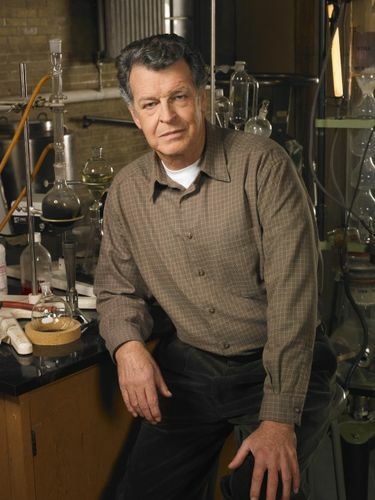 Fewer people know that he’s directed dozens of films (including the 2006 return to form Poultrygeist: Night of the Chicken Dead , now also on–yes, it’s true–Blu-ray ), produced scores more and made appearances in over a hundred genuinely independently-produced movies (partly out of solidarity with directors working outside the system, partly to promote the Troma brand). And some may even know that he’s the author of numerous books, most recently the guerrilla how-to guide Direct Your Own Damn Movie! 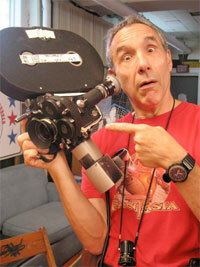 , and a producer of documentaries and box sets devoted to practical tips on low-budget filmmaking. What is less well known is his commitment to independent filmmaking. Not the kind of multi-million dollar films with major stars and studio backing that Hollywood brands as “Independent,” but independently financed and produced films made and seen outside the studio system. He’s the president of The Independent Film and Television Alliance, the trade association for the independent movie industry, and has been actively engaged in the fight to preserve net neutrality. And he created the TromaDance Film Festival, unique in the spectrum of American film festivals in that it does not charge filmmakers a fee to submit their films nor does it charge admission to the shows. I interviewed Lloyd Kaufman in June 2009, when he was in Seattle for a horror convention. Troma’s tireless publicist arranged an opportunity for me to interview him between appearances and we spent over an hour in his hotel lobby talking about everything from the democratization filmmaking to corporate stranglehold on the distribution and exhibition of movies in the U.S. (from theaters to TV) to the origins of Troma. As the 11th Annual TromaDance Film Festival prepares to unspool on April 16, 2010, in its new home at Asbury Park, New Jersey, we present this lively interview with the outspoken and passionate Lloyd Kaufman. And be prepared: Kaufman is not shy about letting his passions through in very colorful language. Take it as you will, as warning or enticement. You have a very interesting set of credits. You worked on Rocky and you were production manager on My Dinner With Andre. Yes, I was indeed. Those movies, Rocky and Saturday Night Fever, those were my film school. How did you move from working on those industry productions to creating the outsider studio Troma? I was making my own movies constantly, I was always making my own damn movies and I was interested in long form, so at the one time we were trying to figure out… I did Sugar Cookies in 1970, I didn’t direct it, I made the mistake of just raising money and writing and producing, and then the distribution didn’t work out too well. And then we made a movie in Israel that’s probably the worst movie in history, called Big Gus, What’s the Fuss (1971), it’s the only movie I’m embarrassed to show and we got screwed on that one, and then Michael Herz and I decided that we had better learn distribution, and that’s when we started Troma in 1974 to both produce and distribute ourselves. Of course in those days there was just theatrical. In an age where Holocaust dramas and fictional recreations of the concentration camp experience are perhaps too plentiful—how could a mere movie come close to communicating the inhumanity of such an event, even in microcosm?—Gillo Pontecorvo’s 1959 Kapò is something of a revelation. It’s not the earliest concentration camp drama, though they were rare in the era (Alain Resnais’ discreet, poetic and haunting nonfiction meditation Night and Fog was only a few years earlier), but it is the earliest I’ve seen. Was the history still a fresh wound that needed time to, if not heal, at least scar over before gingerly exploring the tender area? Or was the horror just too great to even comprehend? Gillo Pontecorvo, an Italian Jew with a commitment to tackling politically volatile issues head on, took the challenge with this harrowing drama of a teenage Parisian Jew (American actress Susan Strasberg, her performance dubbed into Italian) who is literally swept up off the streets and sent to Auschwitz within minutes of the opening. Pontecorvo doesn’t give us time to settle into the situation and it’s only as when we see SS uniforms on the street that we notice the yellow star on her coat. Edith is just a kid, a fourteen-year-old girl who hasn’t the self-preservation to run when she watches her parents herded into a truck outside her building. Even when separated in the camp, all she can think to do is look for her parents and look for a way out, a futile gesture that ultimately save her life. 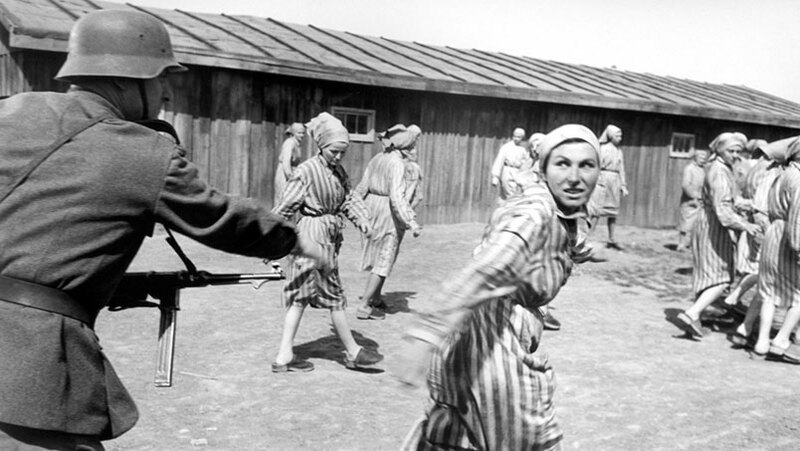 While the rest of the youngsters wait patiently, unaware that they are marked for the gas chambers, she sees the reality of the camp where prisoners are stacked in bunks and the bodies of the dead are stacked like cordwood everywhere else. She’s ushered out of the cold by a mercenary survivor (an uncharacteristically generous gesture on her part, but perhaps there’s a jab of maternal protectiveness in her) and into the office of the camp doctor, who takes her coat (with the Star of David brand of death) and gives her the identity of recently deceased thief. “You’re lucky,” he says. “If no one had died tonight, I wouldn’t be able to help you.” That’s what counts for luck here. The British film studio Hammer is legendary among horror fans for their lurid and lusty Technicolor revisions of the classic monster movies of the thirties, but they came the horror revival through a general focus on genre films, notably (but not limited to) thrillers, mysteries and science-fiction films. The Icons of Suspense Collection: Hammer Films (Sony) gathers six black-and-white thrillers made between 1958 and 1963, all distributed in the U.S. by (and some co-produced by) Columbia. These Are the Damned (1963), Hammer’s answer to Village of the Damned, is the highest-profile film of the set, and the most anticipated. It’s a rare auteur piece (directed by American expatriate-turned-continental class act Joseph Losey), a long sought after science fiction item (Losey’s only true genre film outside of noir and crime cinema) and a Hammer rarity that was cut for American distribution and has been restored for its home video debut. And it’s a strange collision of exploitation elements, visual elegance and emotional coolness, a fascinating oddity with strange angles that don’t all fit but certainly add intriguing elements. It begins as a different kind of genre film: in a cute little seaside vacation town in Britain, Teddy Boys on motorcycles led by the almost simian-looking King (Oliver Reed, with a dark glower and hulking menace) send out a gorgeous young bird (Shirley Anne Field) to attract the interest of an older American tourist (Macdonald Carey). Then they jump the gent for his cash, beating him brutally and dancing away while whistling their theme song (“Black Leather,” a weird quasi-rock chant that doesn’t sound like anything these chaps would adopt but does include almost nihilistic lyrics with nursery rhyme simplicity: “Black leather, black leather / Smash smash smash / Black leather, black leather / Crash crash crash”). “The age of senseless violence has caught up with us, too,” explains Bernard (Alexander Knox), a local authority figure who run a secret project nearby and has his own younger woman (Viveca Lindfors), an eccentric artist who sculpts eerie-looking statues in a small vacation home known as “The Birdhouse” perched, as it turns out, over the heart of the project. It’s all strangely complicated and almost arbitrary the way Carey’s ugly American Simon Wells sweeps Field’s frustrated sweater girl Joan out of King’s clutches, down the bluff from The Birdhouse and into a secret cave system where a small group of children of the atom are raised without human contact beyond video communications. One of the most beloved and cherished Hollywood adventures ever made and long the top of every list of DVD requests, The African Queen (Paramount) makes its much anticipated debut on DVD and Blu-ray simultaneously. It was worth the wait: this is a stunning presentation, but more on that later. 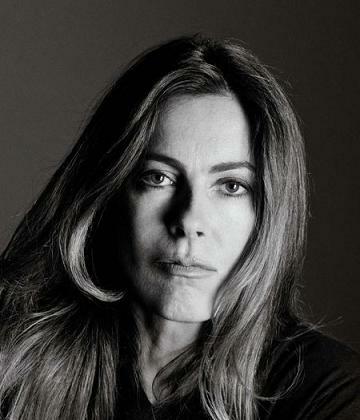 The pedigree is impeccable: Sam Spiegel, a headstrong independent producer, bought the rights to C.S. Forester’s novel (it had been kicking around Hollywood for ten years) and John Huston, arguably the greatest Hollywood writer/director of literary adaptations, brought on James Agee (the most celebrated film critic of his age) as his screenwriting partner. The fears that audiences wouldn’t be interested in a romance between a pair of middle-aged characters was allayed when Humphrey Bogart and Katharine Hepburn were cast (and in hindsight, they seem like the ONLY actors for these parts). 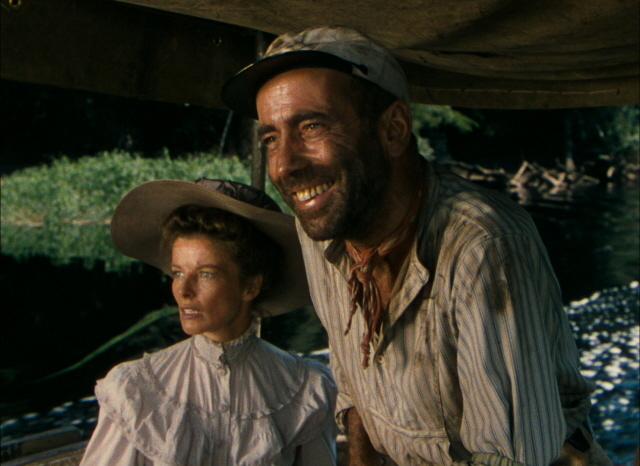 Bogart plays Charlie Allnut, the hard-drinking captain of a sputtering steam-powered boat that gives the film its title, and Katharine Hepburn is Rose Sayer, a spirited missionary spinster who came to German East Africa with her brother (Robert Morley) and, in September 1914 (the early days of World War I), watches German soldiers march off the local natives and burn down their huts, breaking her brother’s spirit (fatally, it turns out) in the process. This is the eighth year of Noir City, and the fourth road show edition of Noir City in Seattle. How have you been able to develop it into such a big annual event? First off, it’s the eighth Noir City Festival we’ve done in San Francisco but I’ve actually been doing them, oh my God, this will be my eleventh year in L.A. at the American Cinemateque, which is where I actually started doing it. But those early ones at the Egyptian weren’t Noir City events, that’s a San Francisco thing, there’s where it was started. And it really was like the perfect storm, in a way. It’s a combination of showing the right kind of films in the perfect venue in San Francisco at the exact right time of year. Beyond that, I guess that somehow it works that people like to have a personality or a face attached to it that they recognize, so that has been helpful, it turns out, that I’m so associated with this festival and that I’m a San Franciscan, that certainly has helped in San Francisco. So that’s really it. There’s nothing else competing in San Francisco at that time of year, is winter, it makes sense for film noir, the Castro is the perfect place to show these films. People have turned it into a real happening and that’s reallyâ€”besides the restoration work and all kind of stuffâ€”it is fascinating to me that we have show, somehow, that you can draw a thousand people on a weeknight to watch sixty-year-old black-and-white films in a theater. It is pretty remarkable. 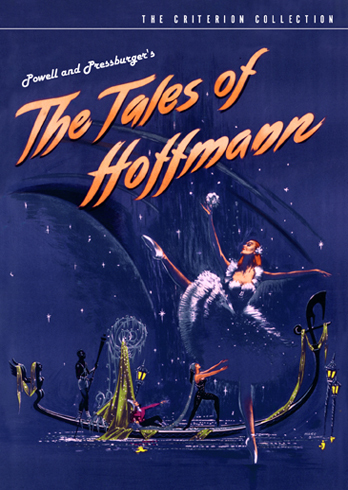 The curtain is soon to fall on Criterion's lavish DVD of Powell and Pressberger's "The Tales of Hoffman"
The home video rights to a number of films from the StudioCanal library will go to Lionsgate at the end of March. The Criterion editions will go out of print (or on moratorium, as they say in the video industry) and will be unavailable commercially on the U.S. until Lionsgate puts out their own editions. Regardless, a number of Criterion titles (including a couple of box sets) will be unavailable by the end of March (see list below) so Criterion is offering a deal through their website: an extra $5 off each of these titles while supplies last. You can also continue to purchase them through Amazon and other traditional merchants until the end of March (or until the current stocks are depleted, whichever comes first).